We here at Keen Association, are very proud to introduce our Polyphonic Touch`n`Run Voltage Array Model 220, up-to-four-voice truly polyphonic, freely tunable and scalable, pressure sensitive musical keyboard with vast sequencing capabilities. The design is based on the analogue concept so that NO voltages are being digitized and the internal microcontroller just traces the finger touches and routes them through an analogue circuitry (actually, there’re eight 16-channel analogue switches there). There’s also NO keyboard scanning, all keys work in realtime, having their dedicated logical channels. What's the Load/Save function for? this looks like the first 3rd party module to come close to the P/R in terms of innovation/usability in my opinion, looks amazing! 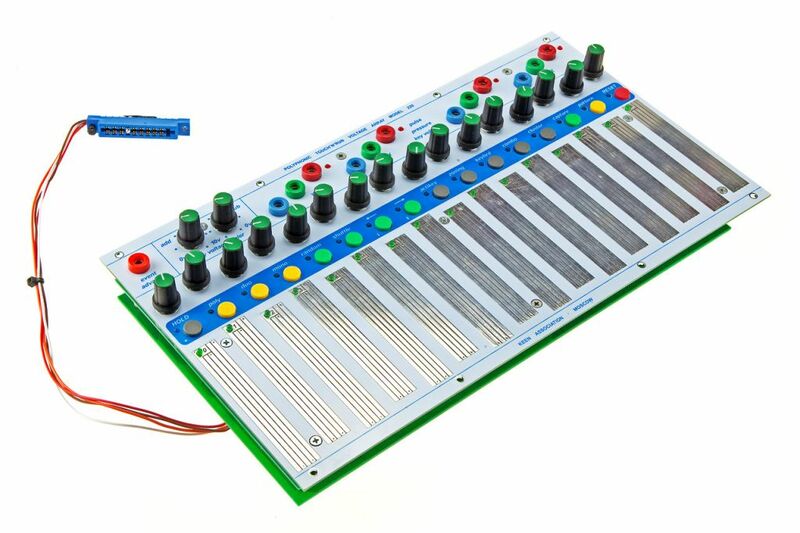 Wow this looks really amazing.. can't wait to see a vid of it in action..
- I use a BugBrand set up which is 1 v/oct, I guess I don't need to worry about the general 1.2 v/oct of the Buchla world in this very case right? I mean, there's no quatized voltages anywhere that follows the 1.2 v/oct rule like preset scales and so on right? Hope the question makes sense..
- Event advance: what kind of pulse do you need? - Only 30 units and then bye bye? Thanks for your time and congratulation! 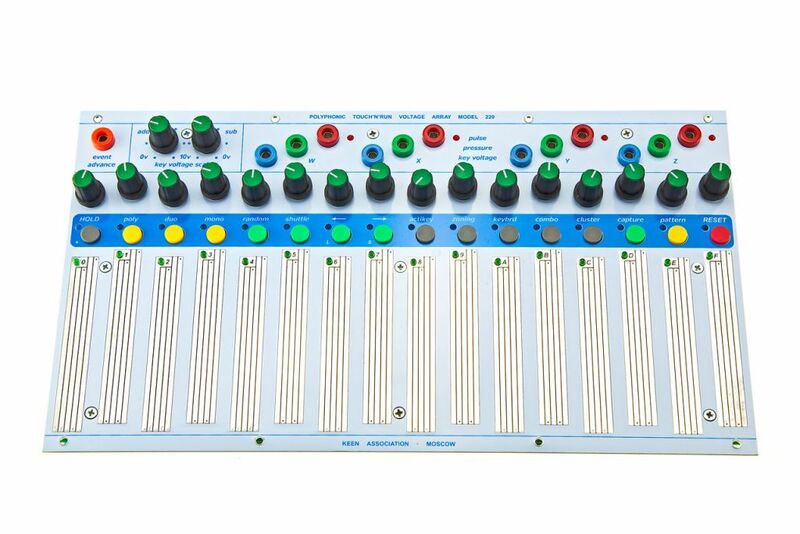 +1 this looks like that first "non official" Buchla module I will purchase other than the excellent p/r. Thanks traffkin for your time, hope to be able to catch one, looks incredible..
Any plans for a DIY version? and a most happy new year to you....Now get back to work!!! !